How relevant is store traffic in omichannel era? 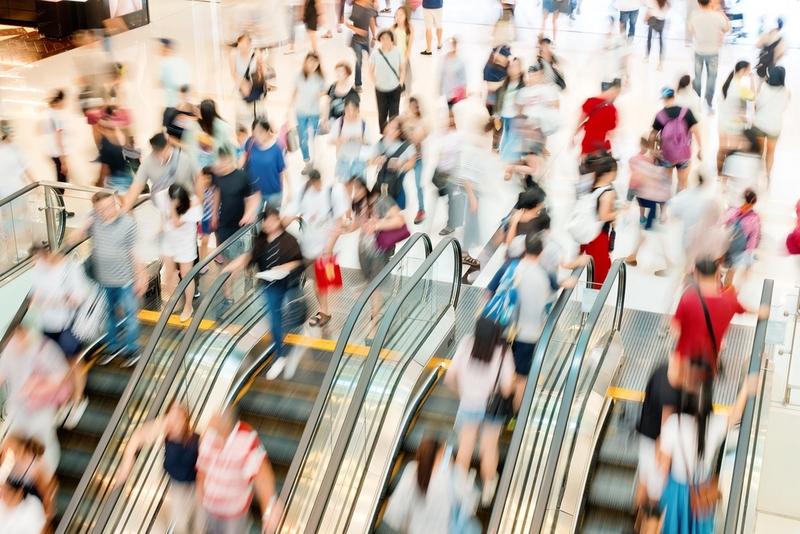 As more retail sales shift online, many retailers are experiencing a slow but steady year-on-year decline in footfall and sales in their stores. Nevertheless, the physical store continues to play a central albeit changing role in the strategy of most retailers. So how should retailers now judge the performance of their stores? The problem is that traditional retail metrics look increasingly irrelevant in today’s omnichannel era. Same-store sales and customer traffic are powerful and easy-to-understand measures of the success of a retail store. But as most retailers have discovered, the number of people entering their stores is destined to keep declining as more choose to shop online. Even your most loyal customers are probably visiting your stores less than they used to and making more purchases online. Meanwhile, the customer conversion ratio, which is another closely watched metric for retailers, is now being impacted by the growth of showrooming – customers who visit the stores to research a purchase but then buy it online. Tradition metrics may paint an unflattering picture of the performance of your stores. But unless you have decided to close down your stores completely, they continue to make a significant and probably the largest contribution to the success of your retail business, and in different ways, not all of which are immediately obvious. For example, the growth of Buy Online, Pickup In Store (BOPIS) means that stores are increasingly being used to fulfill orders that have been placed online. BOPIS has become so important that if the retailer does not offer BOPIS, it may discourage a customer from placing the order online. With BOPIS, the store is performing an essential fulfilment function for the online channel, helping improve operating efficiency and customer satisfaction. But using traditional metrics, the benefits that BOPIS brings cannot be measured. Similarly, if the omnichannel retailer only judges the success of its digital channels in terms of narrowly-defined measurements like conversion rates and average order value, that greatly undervalues the contribution that digital makes to the success of the brick-and-mortar channel – in areas such as brand awareness, for example. New metrics are needed to help omnichannel retailers assess the performance of the business as a whole, rather than its discrete channels. The authors of this article suggest a few possible metrics that could be better suited to an omnichannel world. For example, to measure the “halo effect” that a physical store has on online sales, they suggest retailers measure sales growth across all channels in a given trade area – a geographic area around a specific store. As well as sales recorded on the POS terminals in a store, this measure takes account of online sales from shoppers who visit their local store to research a purchase but then buy it from retailer’s website. The thinking behind this metric is that for the omnichannel retailer, it ultimately should not matter whether the sale takes place in a store or online; what matters is the ability to judge how well each trade area is performing both historically and in comparison to other trade areas. Retailers that are prepared to reinvent the way they think about — and measure — their business, will be better placed to not only survive but thrive in tomorrow’s industry.